Netflix has renewed Marco Polo for a second season of 10 episodes. In addition, they’ve announced the upcoming premiere dates for several original series — The Adventures of Puss in Boots (January 16th), Ever After High: Spring Unsprung (February 6th), Mako Mermaids (February 13th), Unbreakable Kimmy Schmidt (March 6th), Bloodline (March 20th), Marvel’s Daredevil (April 10th), and Grace and Frankie (May 8th). Pasadena, CA, January 7, 2015 — Netflix, the world’s leading Internet TV network, today announced a new ten episode chapter in the adventures of Marco Polo and upcoming premiere dates for some of its highly anticipated new original series. Netflix is the world’s leading Internet television network with over 53 million members in nearly 50 countries enjoying more than two billion hours of TV shows and movies per month, including original series, documentaries, and feature films. Members can watch as much as they want, anytime, anywhere, on nearly any Internet-connected screen. Members can play, pause, and resume watching, all without commercials or commitments. What do you think? 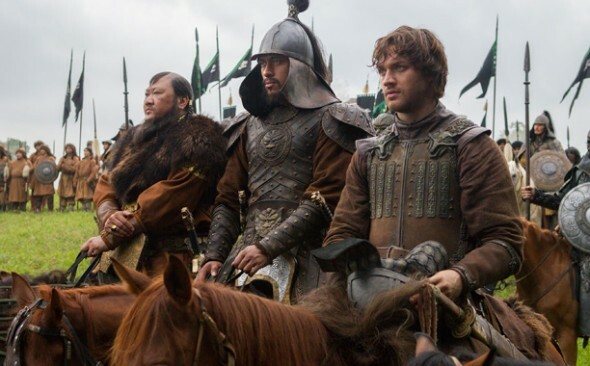 Are you glad that Marco Polo will return for a second season? Do you plan to watch any of the new series? More about: Bloodline, Bloodline: canceled or renewed?, Ever After High, Ever After High: canceled or renewed?, Grace and Frankie, Grace and Frankie: canceled or renewed?, Mako Mermaids, Mako Mermaids: canceled or renewed?, Marco Polo, Marco Polo: canceled or renewed?, Marvel's Daredevil, Marvel's Daredevil: canceled or renewed?, The Adventures of Puss in Boots, The Adventures of Puss in Boots: canceled or renewed?, Unbreakable Kimmy Schmidt, Unbreakable Kimmy Schmidt: canceled or renewed? Yes i am glad the show will have a second season. What the Hell. No 3rd ?? You’re just going to end it there? The only show I love as much as Vikings and it will never return. What went wrong. Was it to intelligent? To Original? Or was it the real Gung Fu ? As a fan , and a Gung Fucked instructor You Dropped the ball. Very good series. You have us hanging on waiting for season two. Please hurry!